When these kids were asked, “What makes you two different from each other?”, they innocently responded in the best possible way. “I have smaller toes than Artie,” said one young boy. “She never stops talking,” said one boy about his friend. Now, if you've watched the video, you'll notice the most interesting part of it all: the kids didn’t highlight the fact that their skin colour differed, or that one was a girl and the other a boy. Or that Adiel has Down syndrome and another girl was in a wheelchair. In fact, Matthew and his friend, both bespectacled and dressed exactly the same, spent the duration of the video trying to figure out how they were different to one another, because it didn’t occur, or maybe it didn’t matter to them, that they didn’t have the same skin colour. Also read: When do children show evidence of self-esteem? And remember when, earlier this year, best friends Jax and Reddy attempted to confuse their teacher by having the same haircut? Jax’s mom, Lydia, wrote in a Facebook post that she'd told her son he needed to get a haircut and Jax asked her to shave it really short so he could look like his friend Reddy. Similarly, best friends Jia and Zuri made the assertion that no matter what anybody says, they’re sisters – they’re twins. They share the same soul – what a wonderfully mature and powerful sentiment for a 4-year-old! 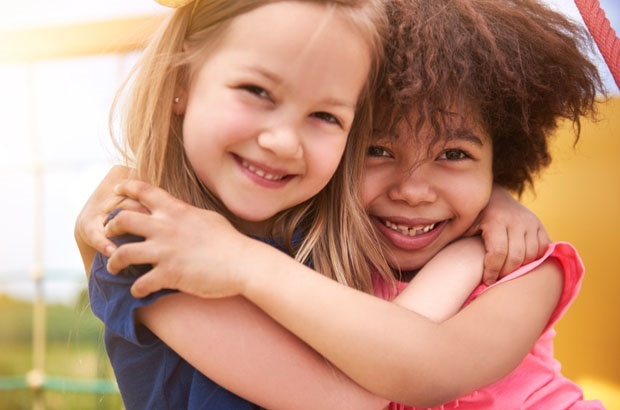 After watching these kids and reading their stories, we can’t help but think we’d all be a little better off if we embraced one another and saw our differences the way our kids do. Because we might even find we'd get along and we're more alike than we think. Have your kids innoncently ever taught you a thing or two about difference and acceptance? Tell us by commenting below or email us at chatback@parent24.com. We may just publish your stories. "To the person giving me unasked for advice on my child's hair"
Somizi: “It’s important to tell a child, especially a black child, that it is possible"